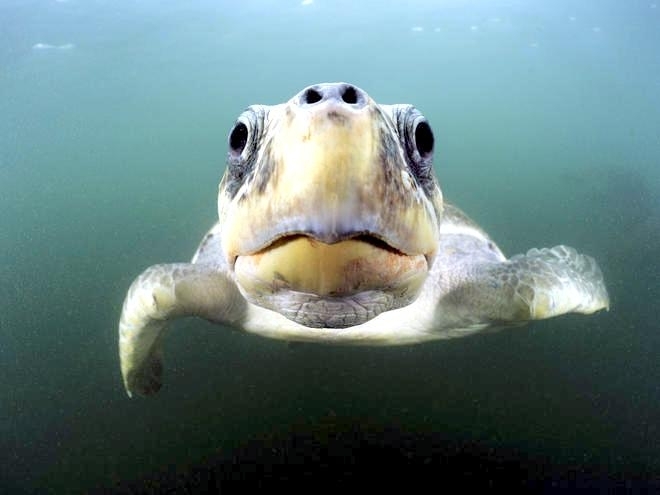 The Olive Ridley Sea Turtle is considered the most abundant sea turtle in the world, with an estimated 800,000 nesting females annually. 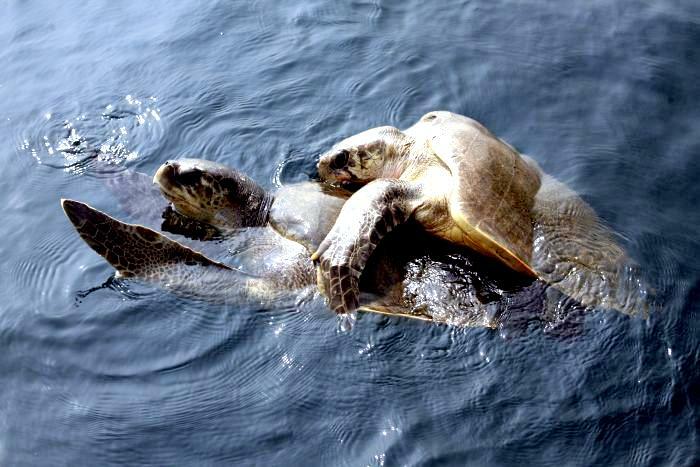 The Olive Ridley Sea Turtle gets its name from the olive coloration of its heart-shaped top shell (carapace). 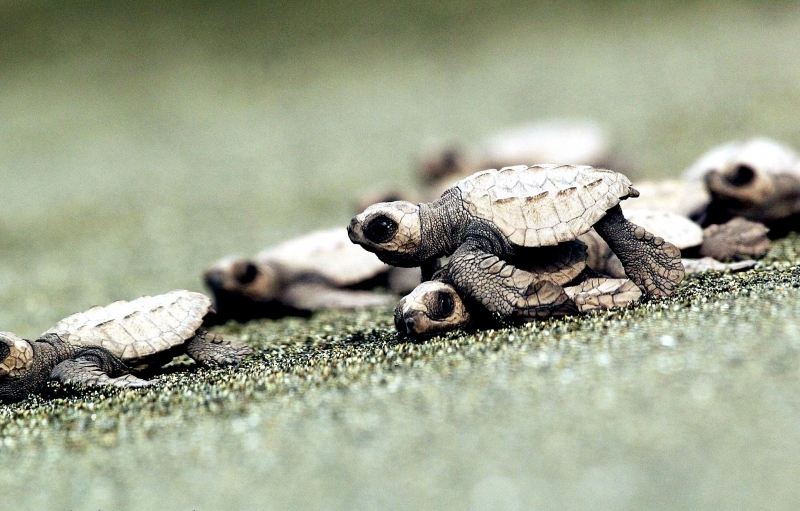 Adult turtles are relatively small. 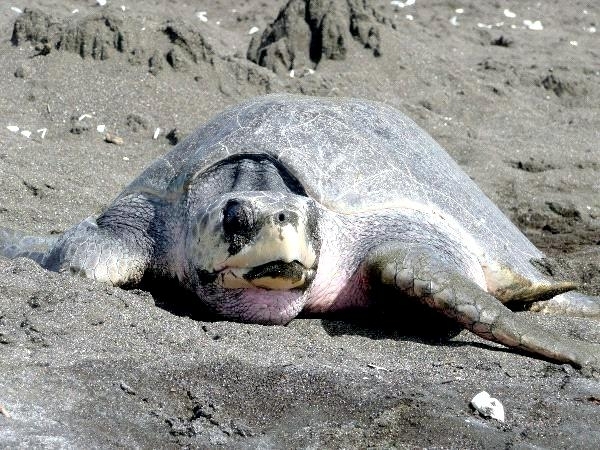 The size and morphology of the Olive Ridley varies from region to region, with the largest animals observed on the Pacific coast of Mexico. 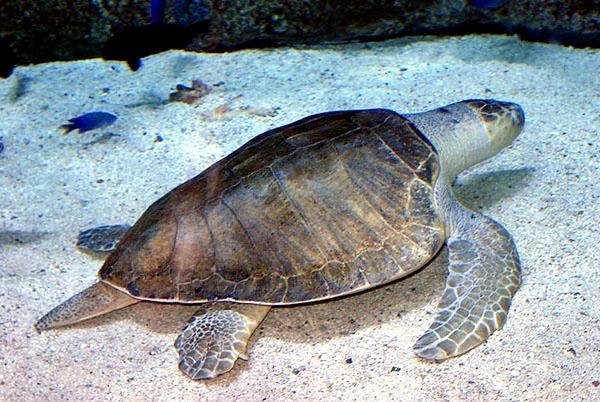 There are often only 5 pairs of coastal “scutes” on the carapace, but that number varies. 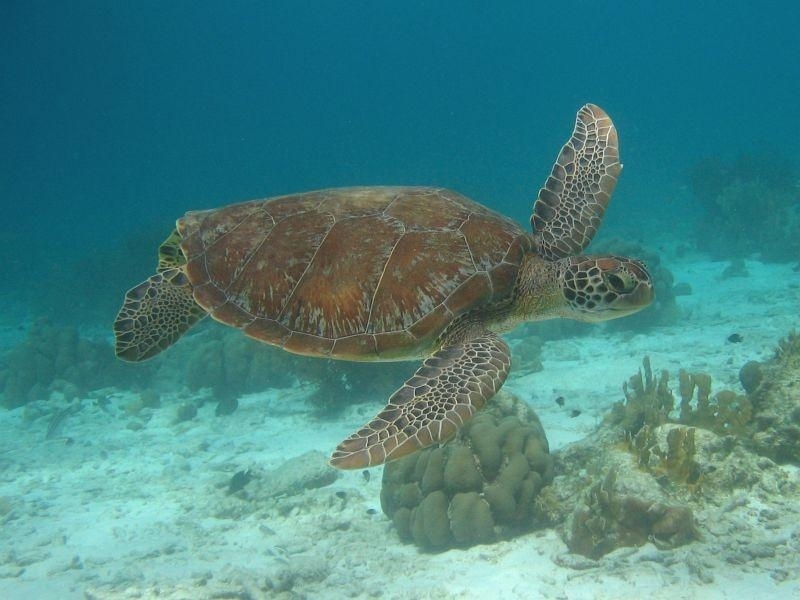 Some individuals have been documented having as many as 9 pairs of coastal scutes. 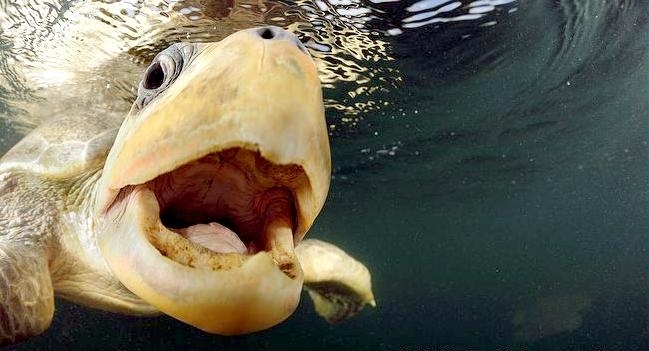 Each of their 4 flippers has 1-2 visible claws. The carapace of eastern Pacific Olive Ridleys is greater in height than other populations and the western Atlantic Olive Ridleys usually have a darker coloration than eastern Pacific Olive Ridleys. 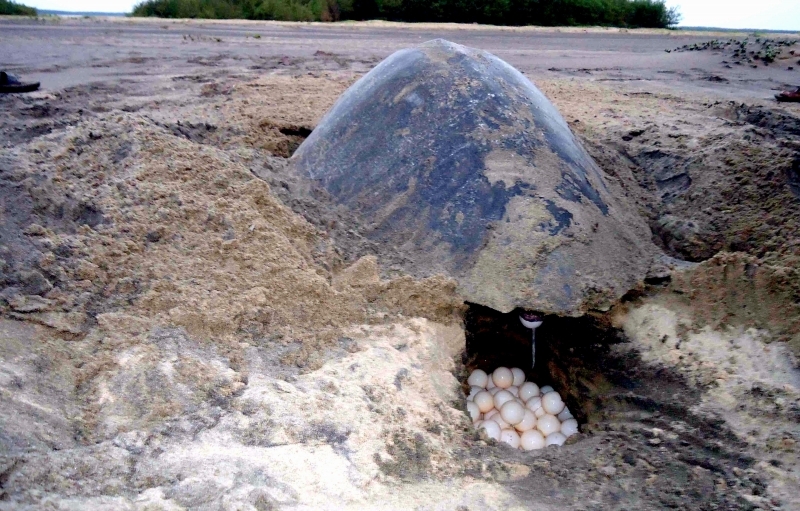 The Olive Ridley has one of the most extraordinary nesting habits in the natural world. 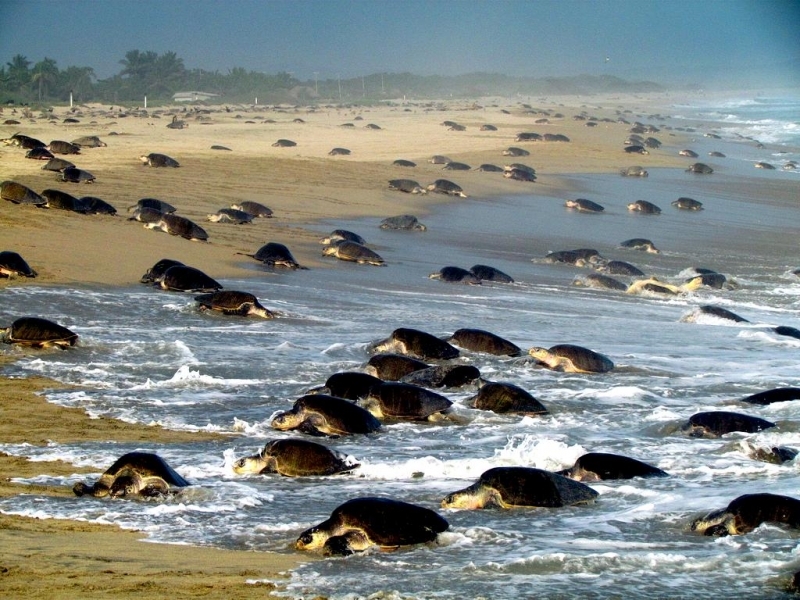 Large groups gather off shore of nesting beaches. 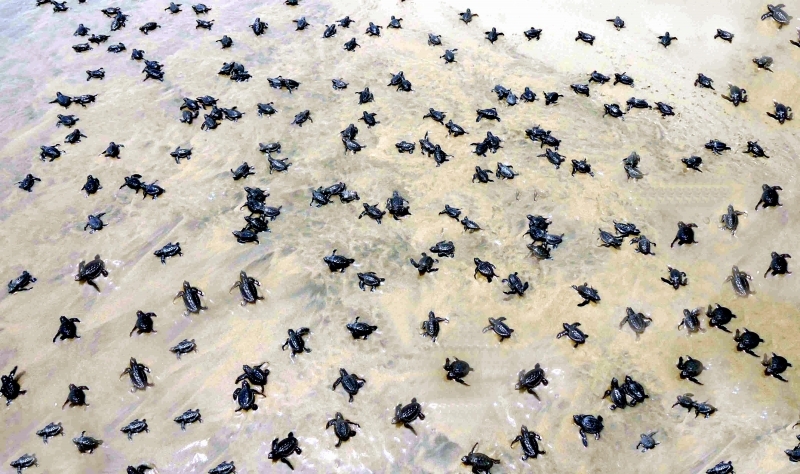 Then all at once, vast numbers come ashore and nest in what is known as an ”arribada”. 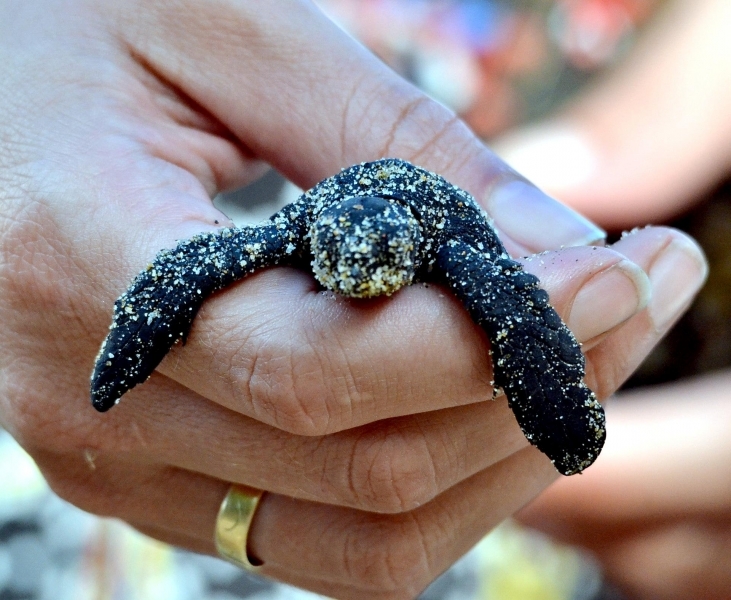 During these arribadas, hundreds to thousands of Olive Ridley females come ashore to lay their eggs. 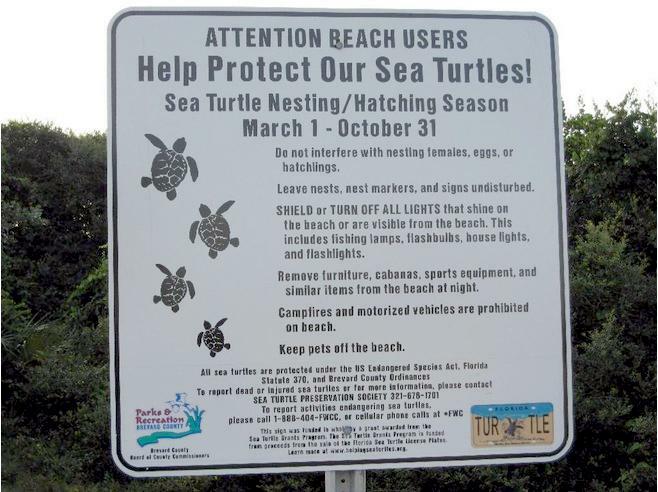 At many nesting beaches, the nesting density is so high that previously laid egg clutches are dug up by other females excavating the nest to lay their own eggs. There are many theories on what triggers an arribada including offshore winds, lunar cycles and the release of pheromones by females. 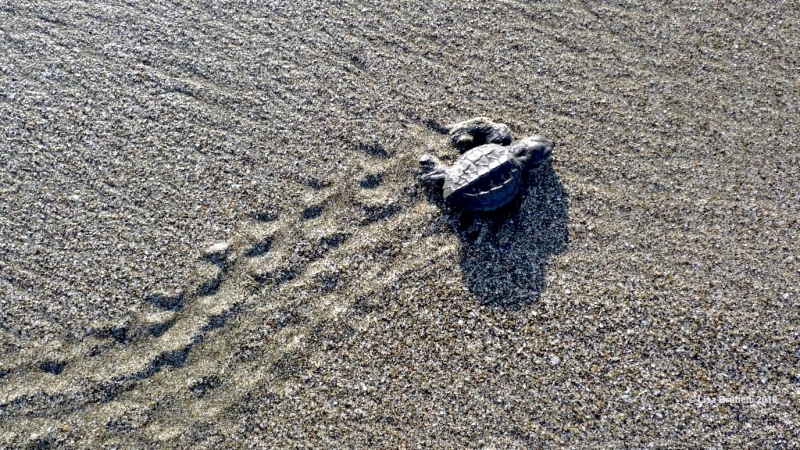 Despite these theories, scientists have yet to determine the actual cues for Olive Ridley arribadas. Not all females nest during an arribada, instead some are solitary nesters. Some Olive Ridleys employ a mixed nesting strategy. 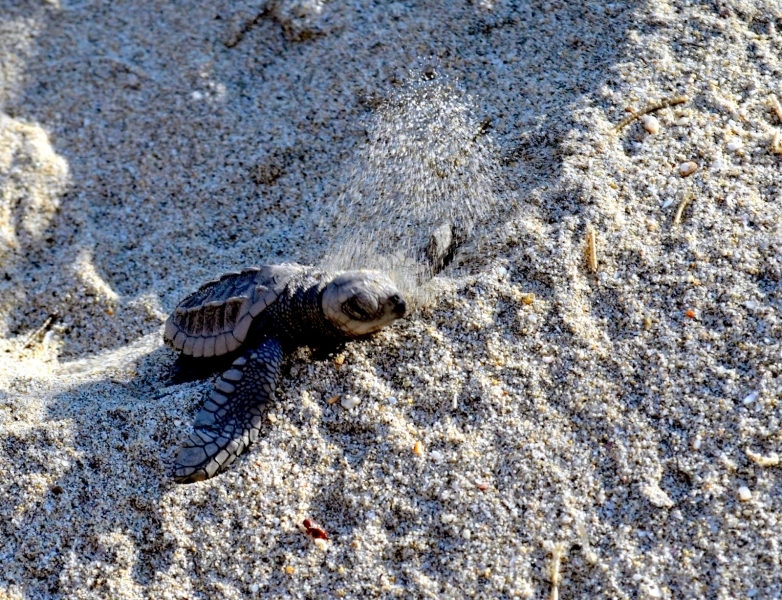 For example, a single female might nest during an arribada as well as nest alone during the same nesting season. 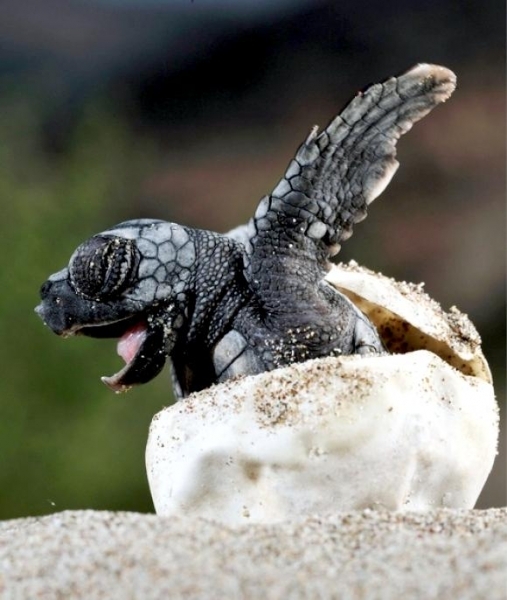 Arribada nesting is a behavior found only in the genus Lepidochelys: Kemp’s Ridley and Olive Ridley Sea Turtles. 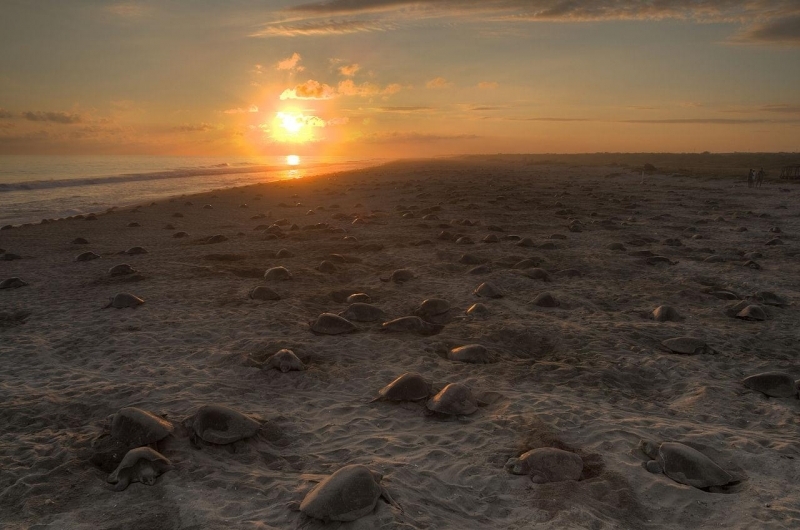 Although other turtles have been documented nesting in groups, no other turtles (marine or otherwise) have been observed nesting in such mass numbers and synchrony. 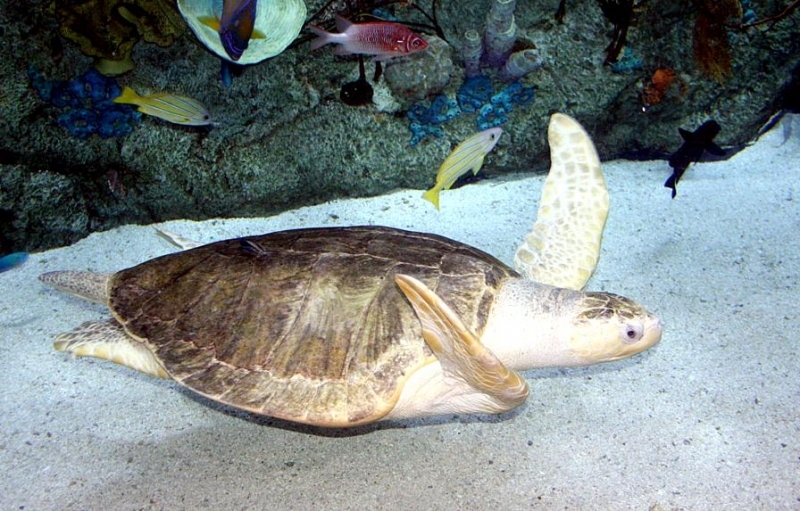 Olive Ridleys reach sexual maturity around 15 years, a young age compared to some other sea turtle species. 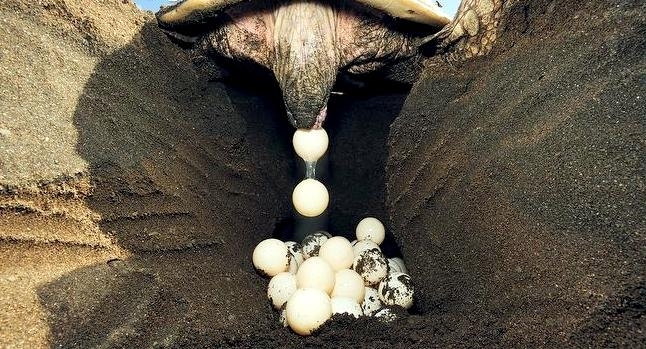 Females nest every year once or twice a season, laying clutches of approximately 100 eggs. Incubation takes about 2 months. 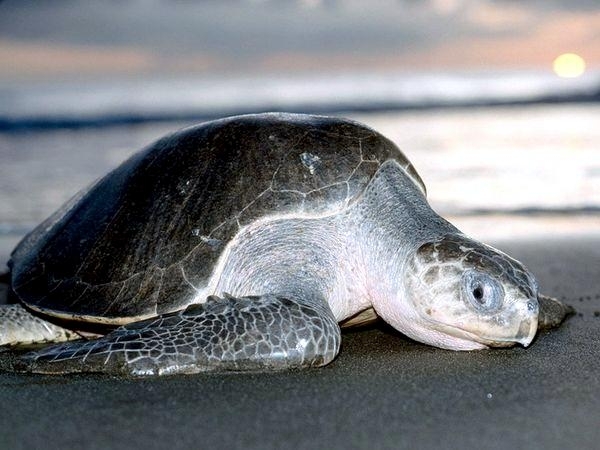 The Olive Ridley is mainly a “pelagic” sea turtle, but has been known to inhabit coastal areas, including bays and estuaries. 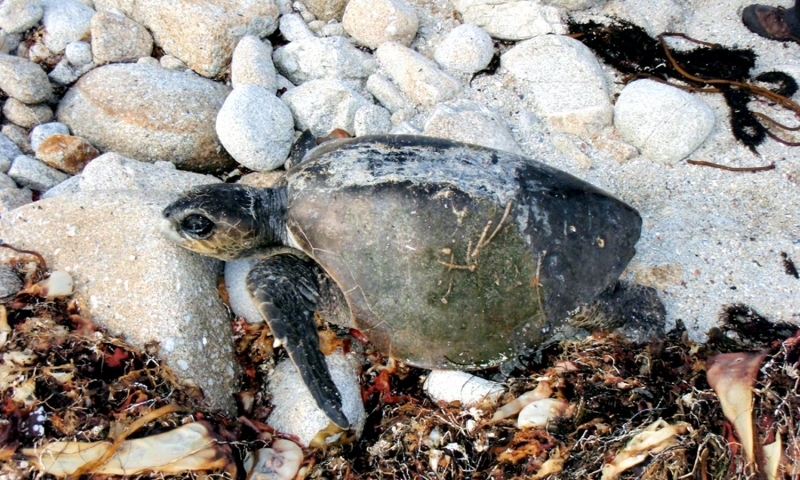 Olive Ridleys mostly breed annually and have an annual migration from pelagic foraging to coastal breeding and nesting grounds back to pelagic foraging. Trans-Pacific ships have observed Olive Ridleys over 2,400 miles (4,000 kilometers) from shore. 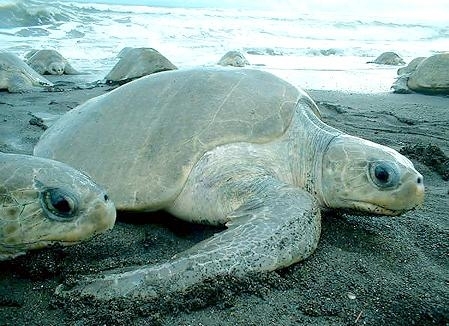 The Olive Ridley is omnivorous, meaning it feeds on a wide variety of food items including algae, lobster, crabs, tunicates, mollusks, shrimp and fish. 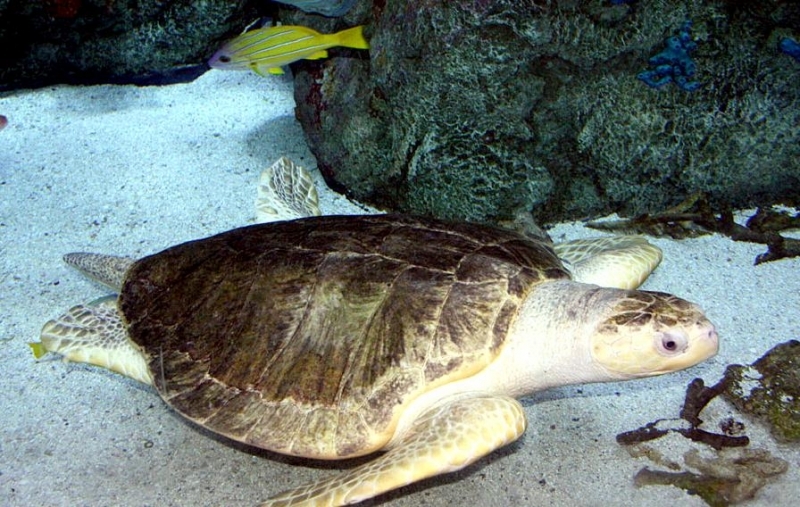 Olive Ridley Sea Turtles dive to depths of about 500 feet (150 meters) to forage on “benthic” invertebrates. 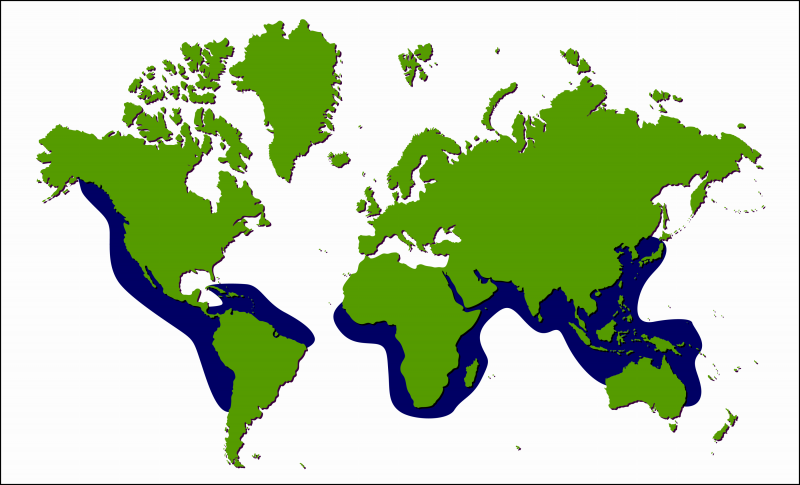 Olive Ridleys are globally distributed in the tropical regions of the South Atlantic, Pacific and Indian Oceans. 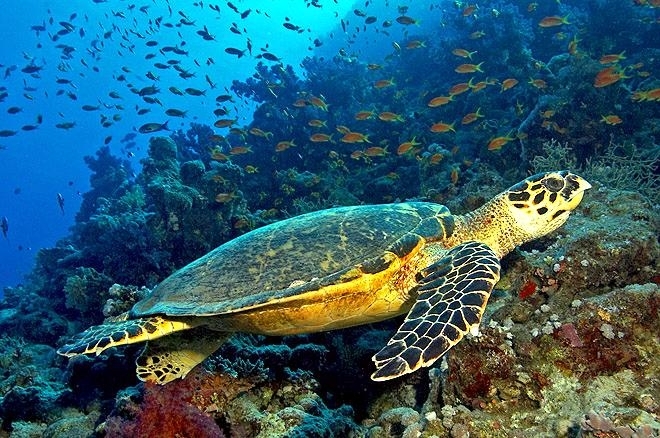 In the South Atlantic Ocean, they are found along the Atlantic coasts of West Africa and South America. In the Eastern Pacific, they occur from Southern California to Northern Chile. 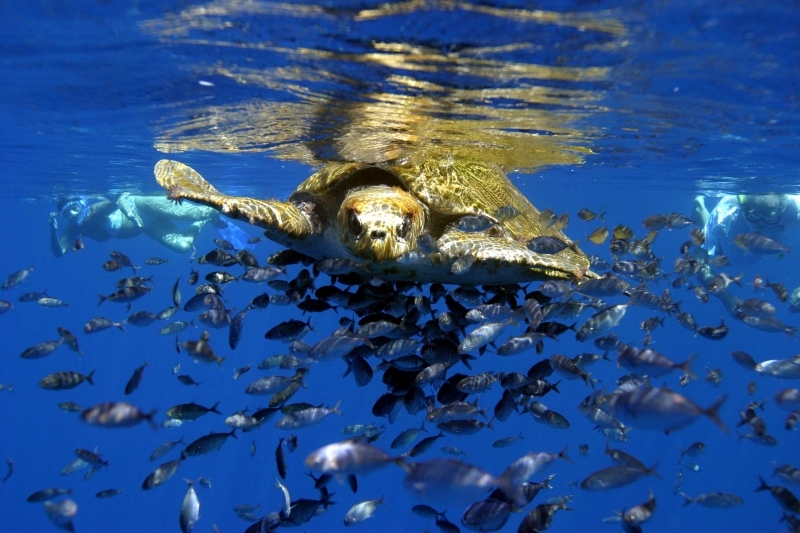 Olive Ridley Sea Turtles often migrate great distances between feeding and breeding grounds. 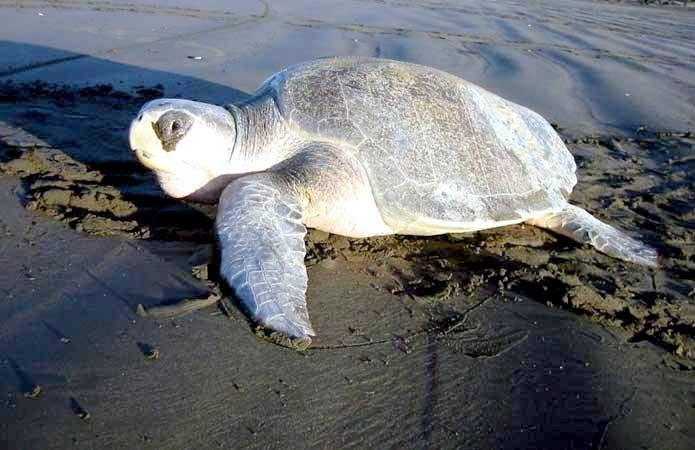 Using satellite telemetry tags, scientists have documented both male and female Olive Ridleys leaving the breeding and nesting grounds off the Pacific coast of Costa Rica migrating out to the deep waters of the Pacific Ocean. Solitary nesting occurs extensively throughout this species’ range and nesting has been documented in approximately 40 countries worldwide. 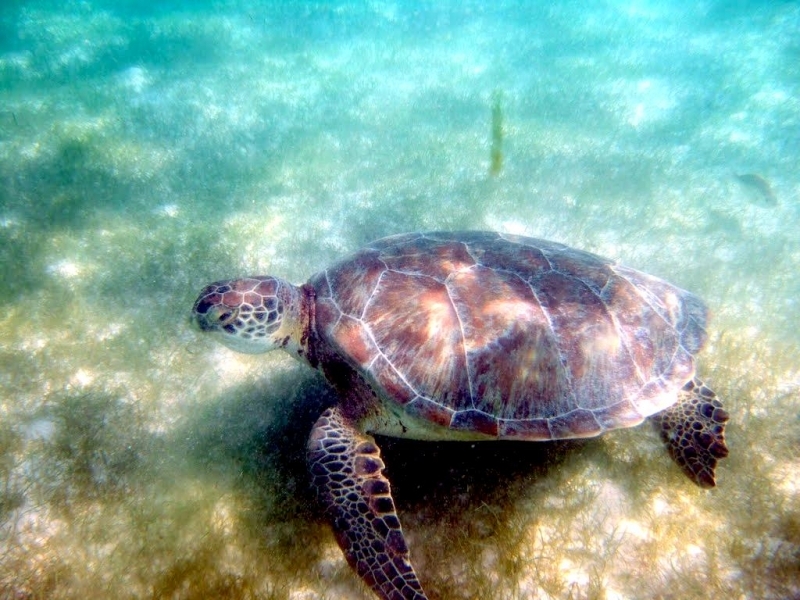 Arribadas occur on only a few beaches worldwide, in the eastern Pacific and northern Indian oceans, in the countries of Mexico, Nicaragua, Costa Rica, Panama and India. 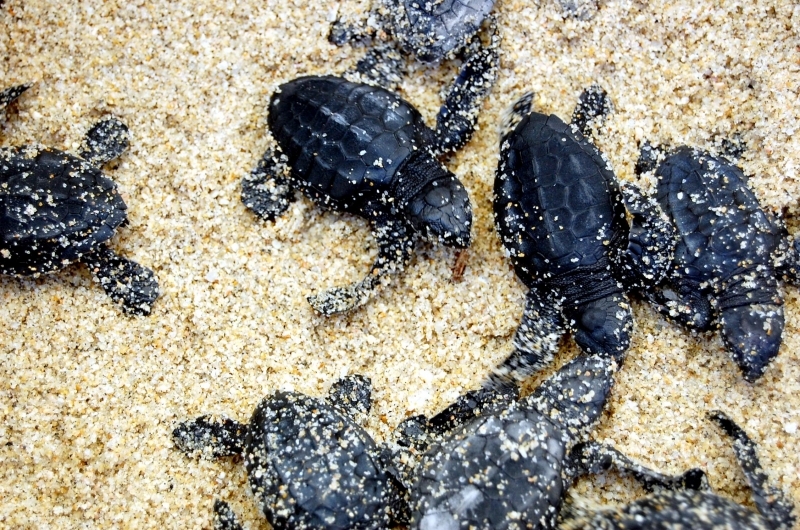 In the eastern Pacific, arribadas occur from June to December on certain beaches on the coasts of Mexico, Nicaragua, and Costa Rica and on a single beach in Panama. In the northern Indian Ocean, arribadas occur on three different beaches along the coast of India. 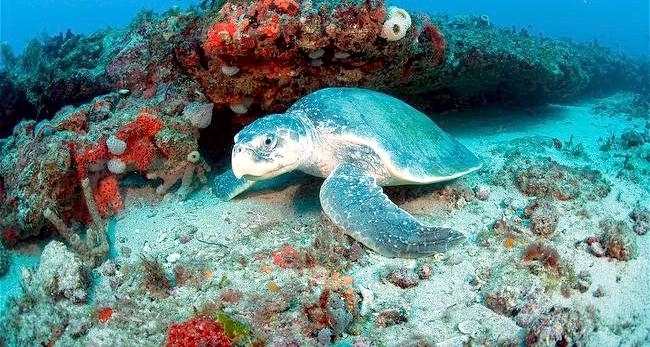 The Olive Ridley Sea Turtle may be the most abundant sea turtle on the planet, but some argue that it is also the most exploited. In the Eastern Atlantic Ocean, lack of data and trends on specific nesting beaches make it difficult to estimate nesting populations. 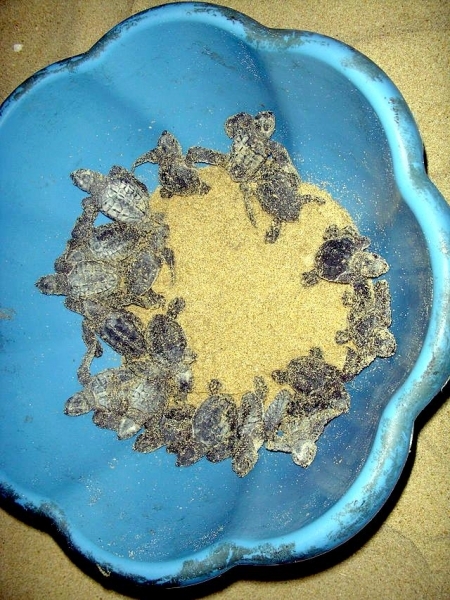 Along the entire west coast of Africa, nesting females & eggs are regularly taken for consumption, except where research stations have been established. This impact is likely extremely devastating to the entire Eastern Atlantic population. 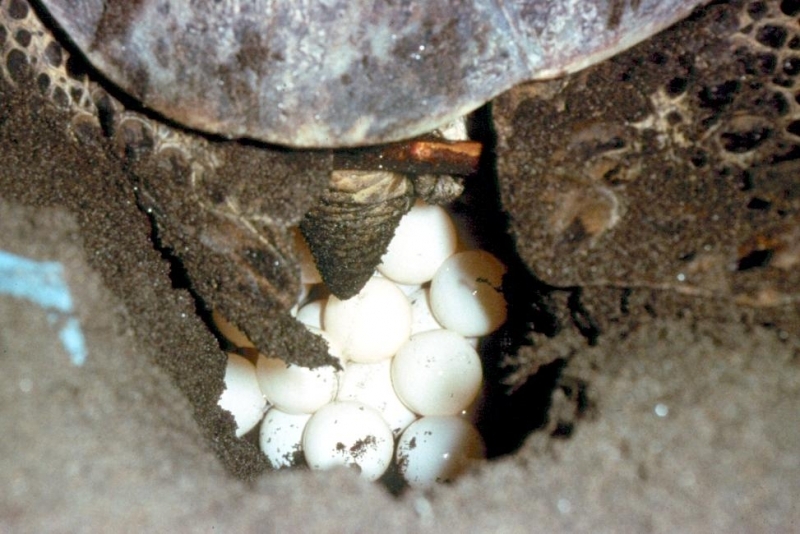 Prior to 1950, an estimated 10 million Olive Ridleys nested on the Pacific coast of Mexico. 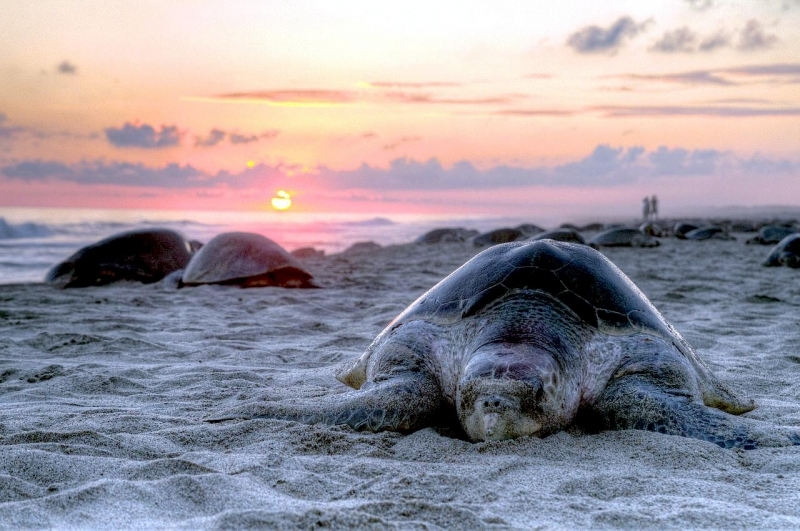 In the mid-1960’s, an Olive Ridley fishery developed in Mexico and Ecuador and the taking of eggs and females also increased which devastated the population. 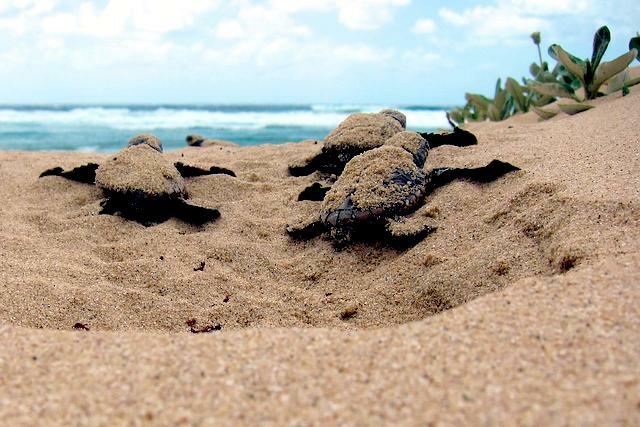 Only a single arribada nesting beach remains in La Escobilla, Mexico and more than 20 nesting populations have been severely depleted since the 1960’s. 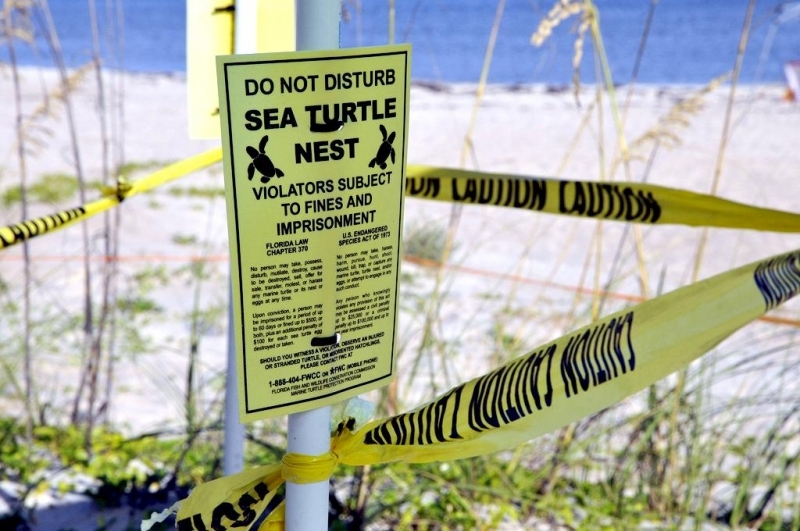 The other nesting populations identified in the 1960’s have yet to recover despite increased protection. 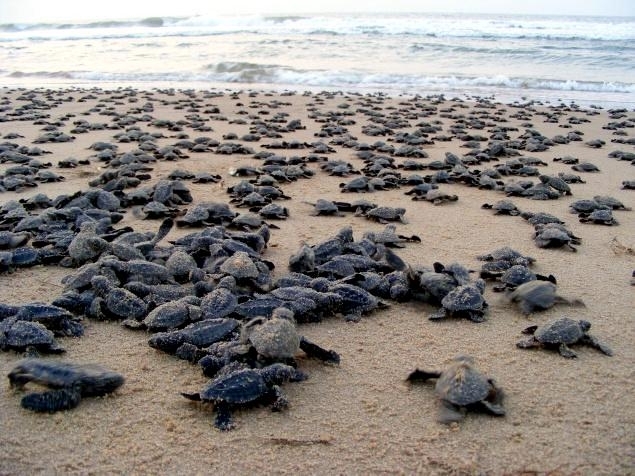 Gahirmatha, Orissa in India used to be one of the largest arribada nesting sites in the world, though arribada nesting events do not occur every year. 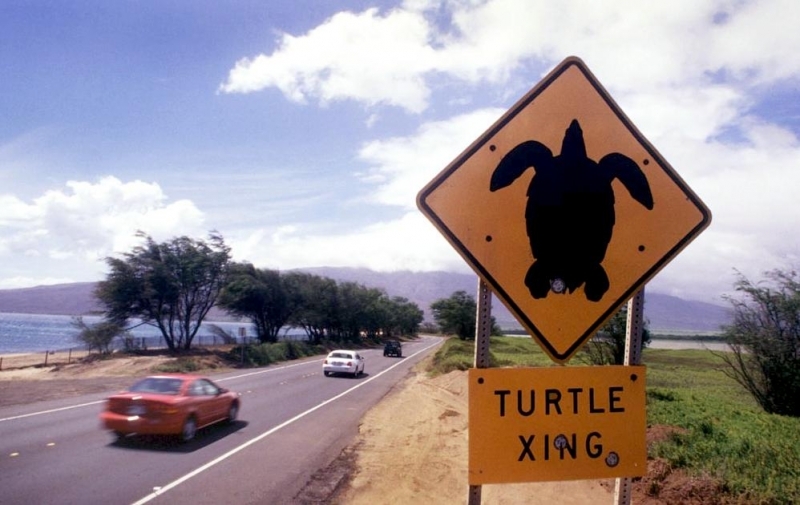 Additionally from 1996 to 2002, the average size of nesting females declined at that site indicative of a declining population. 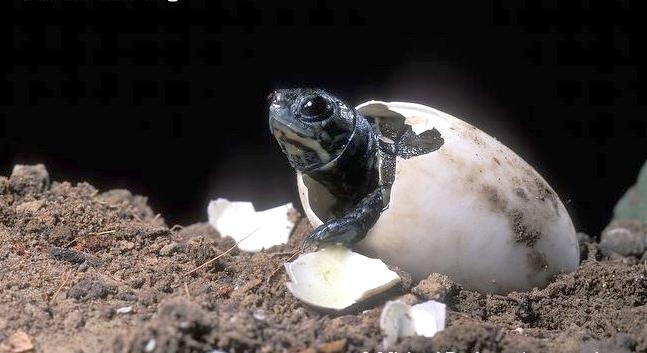 Declines in solitary nesting of Olive Ridleys have been recorded in Bangladesh, Myanmar, Malaysia and Pakistan. 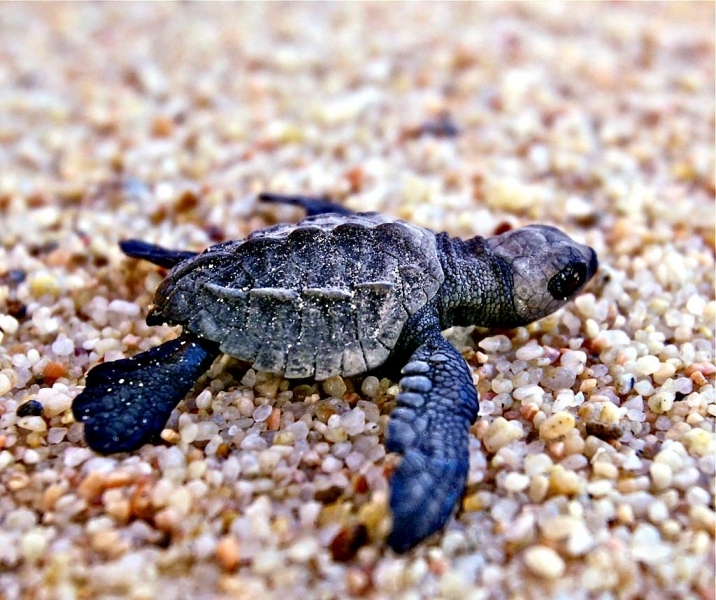 In particular, the number of nests in Terengganu, Malaysia has declined from thousands of nests to just a few dozen per year. Still, not all populations are depleted. Some nesting populations are currently stable and/or increasing. 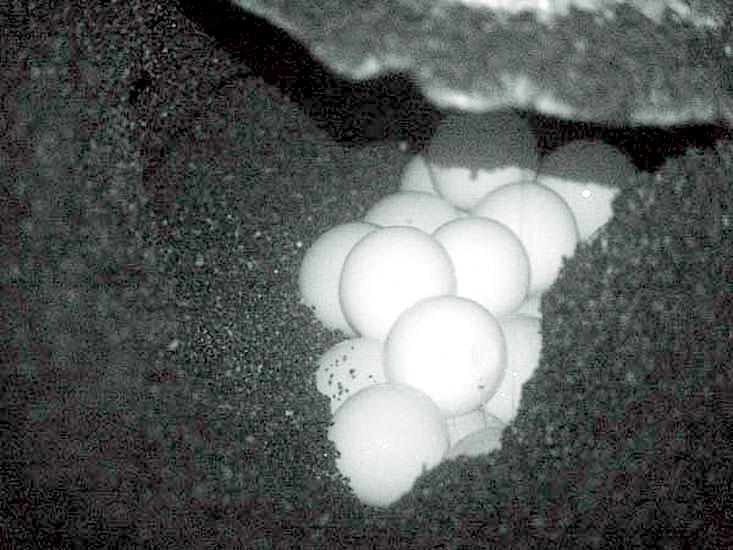 In Sergipe, Brazil, strict nest protection has led to increases of the nesting population over the past 20 years. 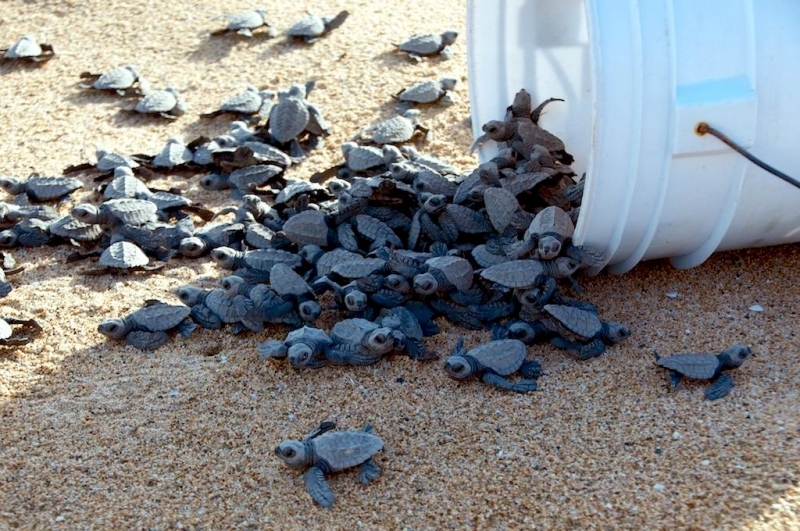 In La Escobilla, Mexico, conservation measures such as increased nesting beach protection and closure of the turtle fishery in 1990, have led to a dramatic increase in the once largest nesting population in the world. 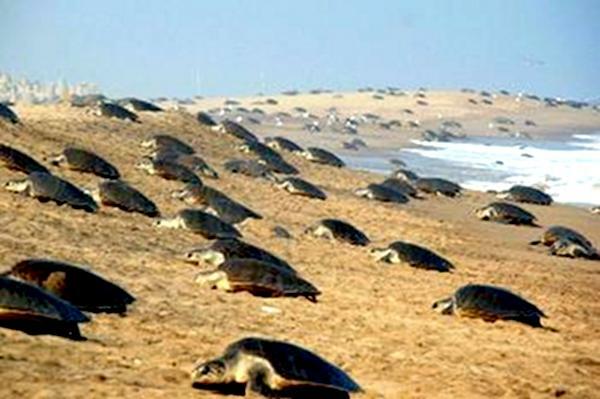 The number of Olive Ridley nests has increased from 50,000 in 1988 to over 700,000 in 1994 to over 1,000,000 nests in 2000. 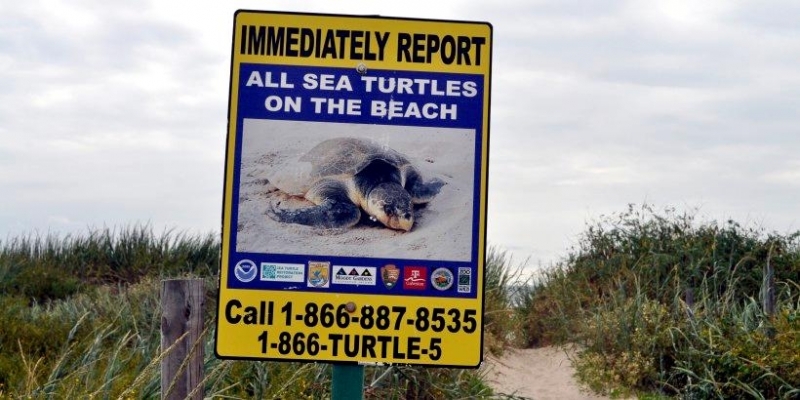 At-sea estimates of density and abundance of the Olive Ridley Sea Turtle show a yearly estimate of over 1,000,000 which is consistent with the increase seen on the eastern Pacific nesting beaches as a result of protection programs that began in the 1990’s. 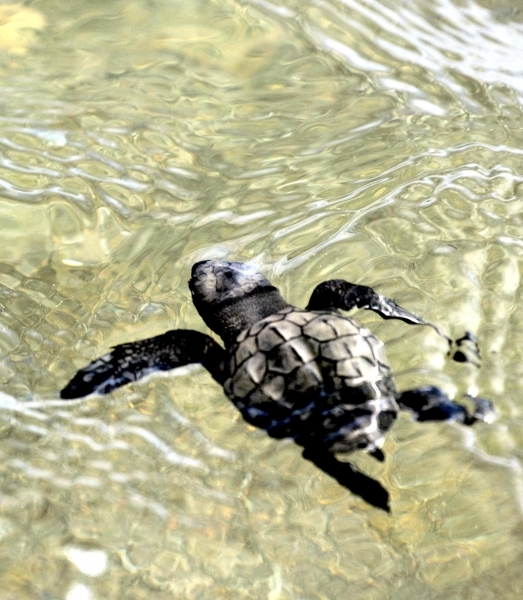 This dramatic improvement gives hope that with strict protections the once depleted populations in Mexico have begun to stabilize. 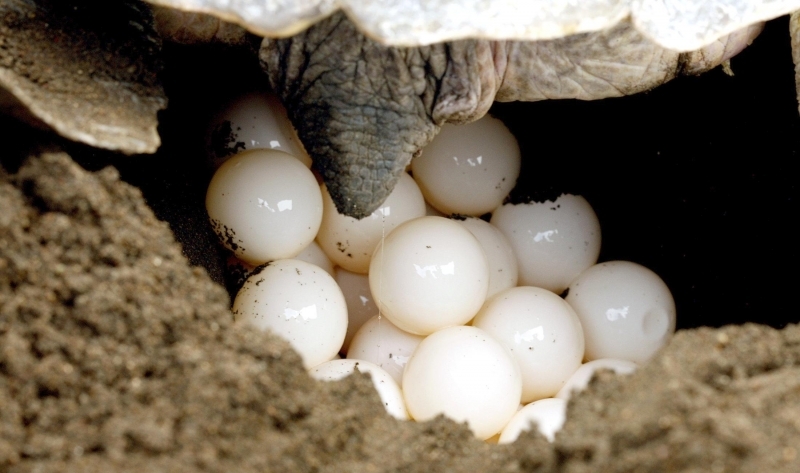 The principal cause of the historical, worldwide decline of the Olive Ridley Sea Turtle is long-term collection of eggs and killing of adults on nesting beaches. 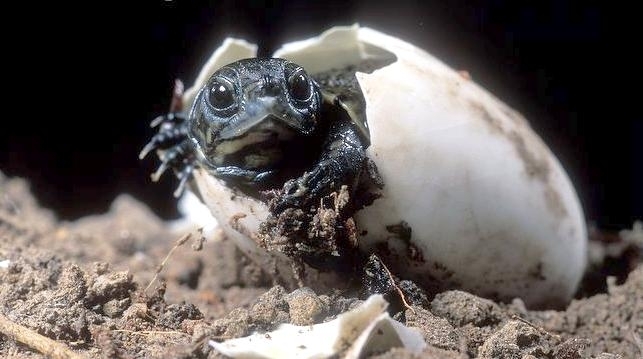 Because arribadas concentrate females & nests in time and space, they allow for mass killing of adult females as well as the taking of an extraordinary number of eggs. These threats continue in some areas of the world today, compromising efforts to recover this species. 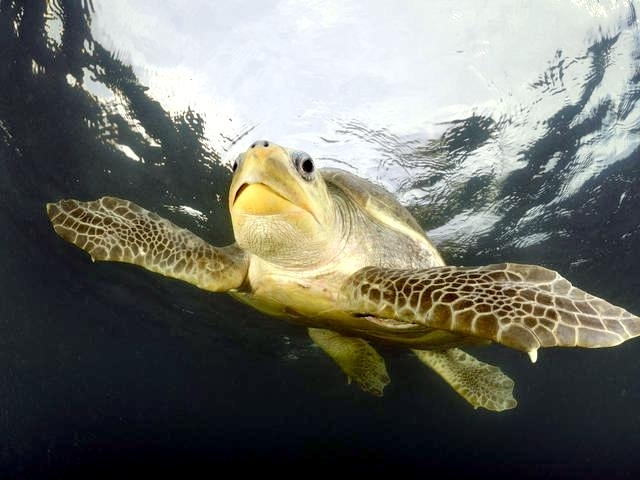 In the western south Atlantic Ocean, killing adults and collecting eggs of all nesting sea turtle species is historically widespread in the Guianas and northeastern Brazil. 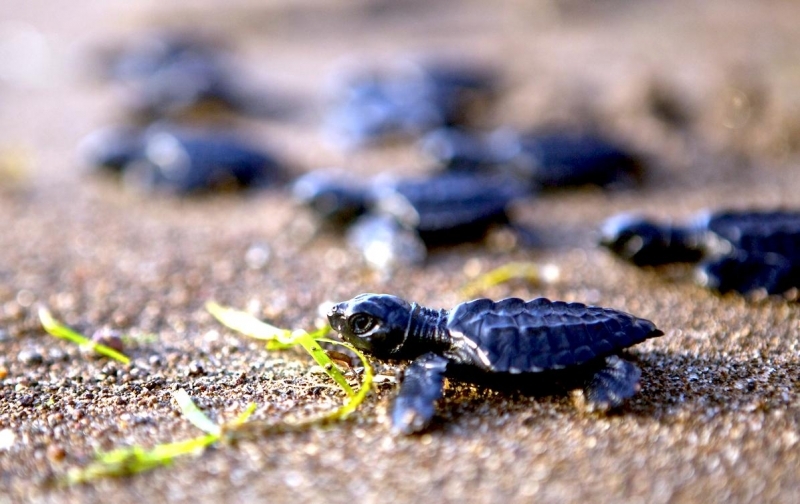 Despite a current prohibition on Olive Ridley egg harvest in Suriname, an estimated 40% of the Olive Ridley nests were harvested in 1995. 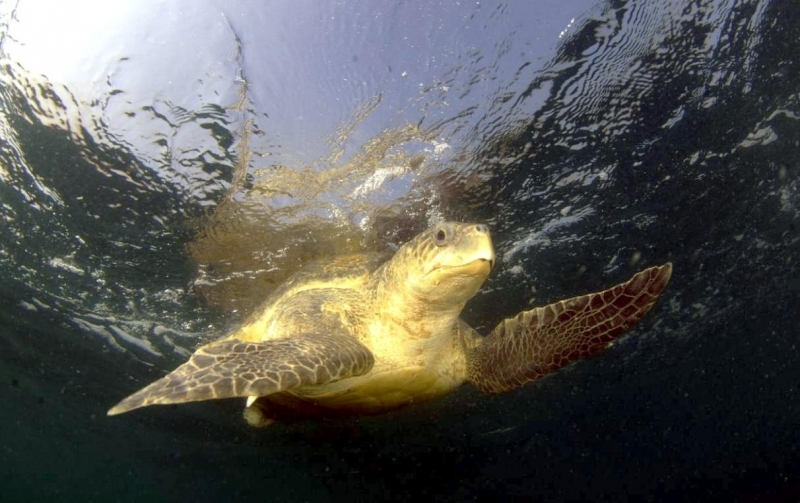 In the eastern North Atlantic Ocean, nesting Olive Ridley Sea Turtles are captured along the entire west coast of Africa and sold in local and regional markets. A survey of 27 west African nations indicated that nesting females were killed in 14 of those countries. 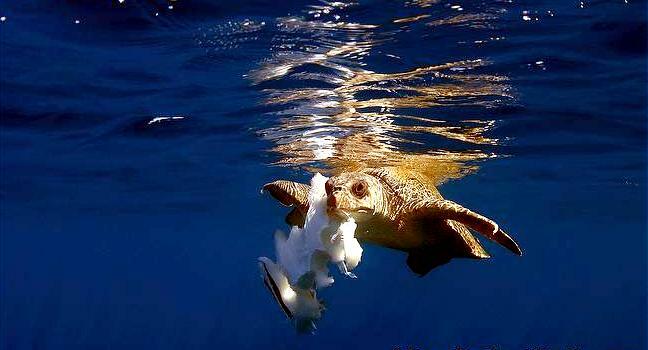 In the eastern Pacific Ocean, killing sea turtles and collecting their eggs has occurred for hundreds of years. 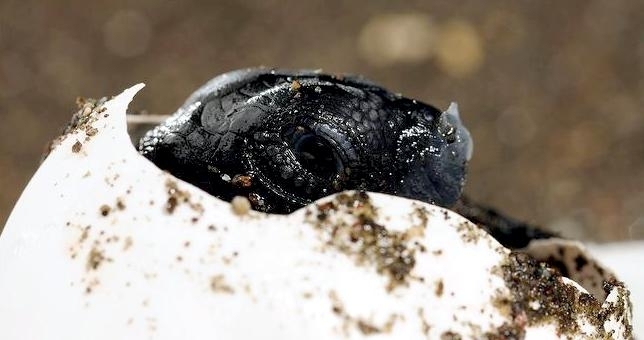 Little data on historical egg taking in Mexico currently exist, but egg collection has previously reached nearly 100% at solitary nesting sites. In many places, egg collecting currently continues at this level. 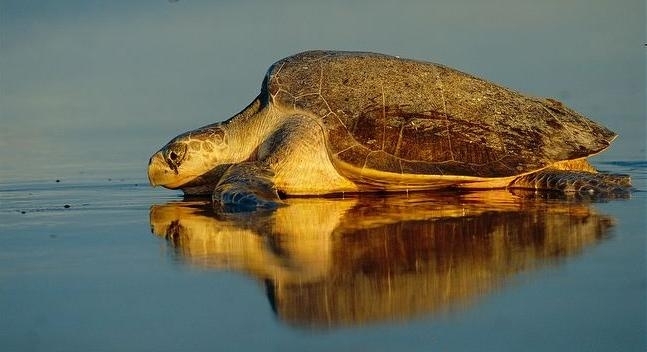 Throughout the Indian Ocean, nesting populations of Olive Ridleys have declined due to both killing of nesting females at solitary nesting beaches and a directed fishery for the species concentrated at the major arribada nesting beach in Orissa, India during the 1970’s. 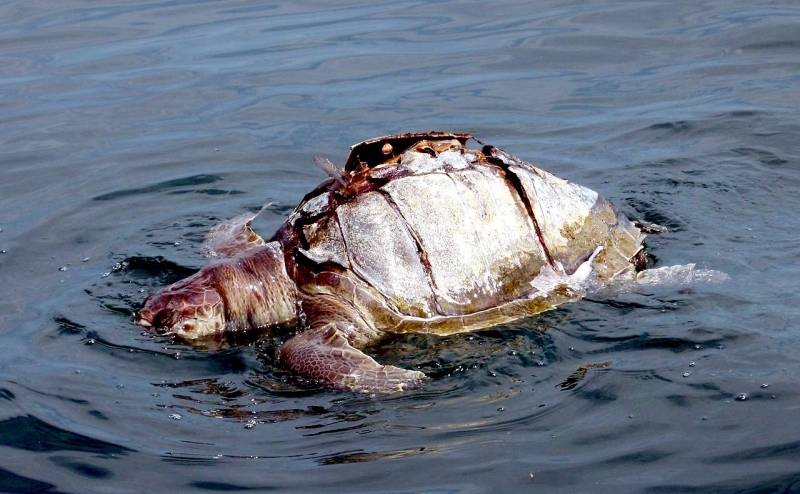 Additionally, incidental captures in fishing gear primarily in long-lines and trawls but also in gill nets, purse seines and hook and line is a serious ongoing source of mortality that adversely affects the species’ recovery. 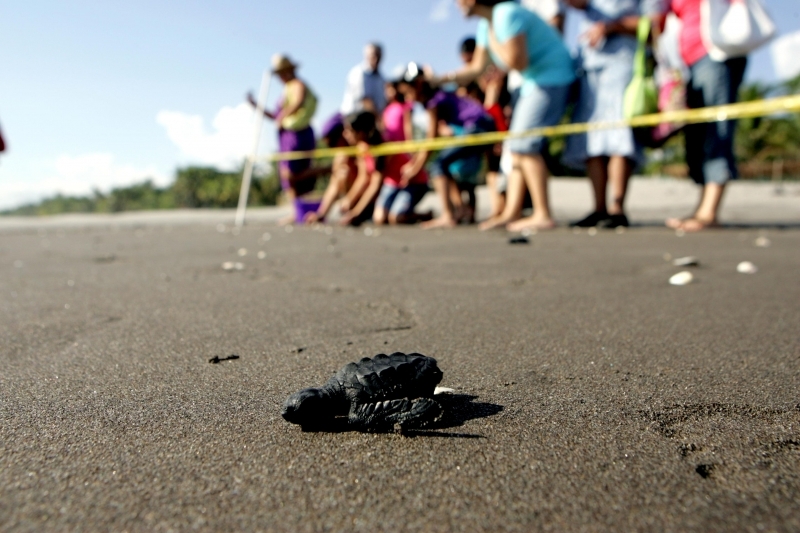 Incidental capture of sea turtles in shrimp trawls along the coast of Central America is estimated as exceeding 60,000 sea turtles annually, most of which are Olive Ridley Sea Turtles.